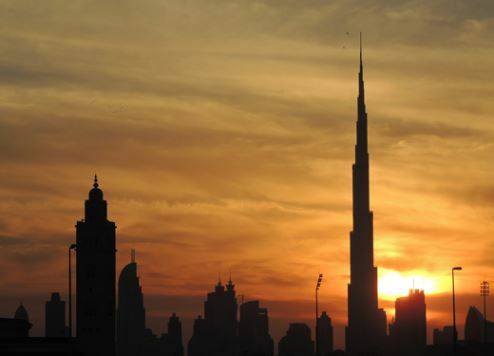 Dubai-based construction technologies firm Cazza has announced plans to build the world’s first 3D-printed skyscraper. The company says it will be able to 3D print high rise-towers using a new construction technique called ‘crane printing’, according to Construction Week Online. Cazza will use cranes with added units that are specifically created for building 3D-printed structures of 80 metres and above. “When we first thought of implementing 3D printing technologies, we were mostly thinking of houses and low-rise buildings,” Cazza CEO Chris Kelsey told the publication. “Developers kept asking us if it was possible to build a 3D-printed skyscraper. This led us to begin researching how we could adapt the technologies for taller structures. Cazza’s crane printing process includes all major structural components required for tall buildings, including reinforcement with a steel rebar. Cazza is known for producing a 3D printing construction system that combines the use of mobile 3D printing robots with existing construction methods to make construction processes faster, more cost-effective, and environmentally friendly. Kelsey said the first 3D-printed high rise would be constructed in the UAE, although the height of the structure and commencement of work were not revealed. In December, the Dubai Government announced a collaboration with Cazza to progress 3D printing initiatives emirate-wide.